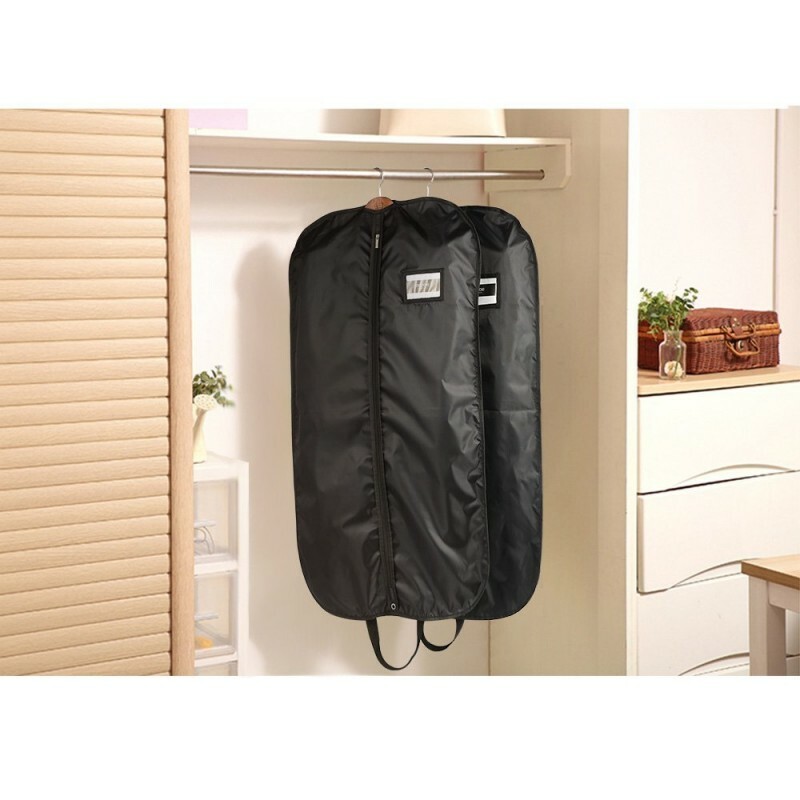 Organizes your suits with cares. 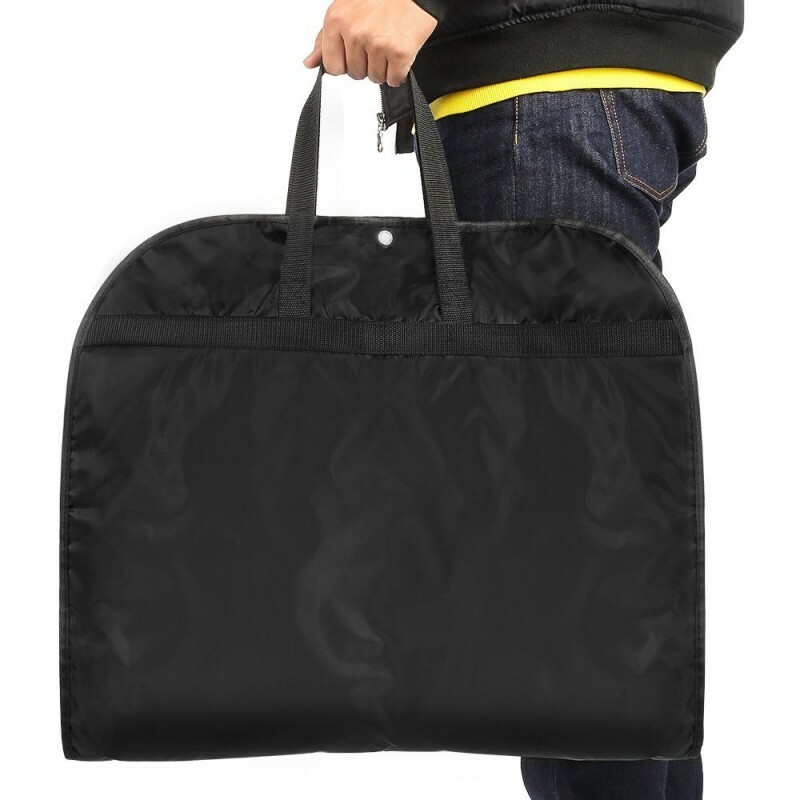 Processed delicately with 210D polyester, the suit bag effectively protects your clothes from wrinkles, dust and more. 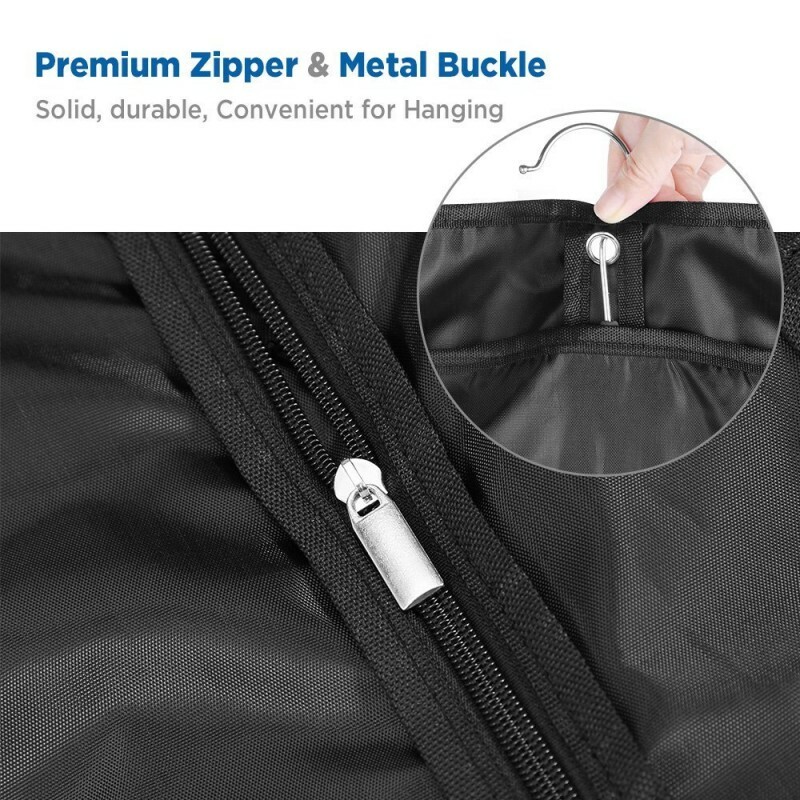 And the quality nylon zipper ensures a durable and smooth use. 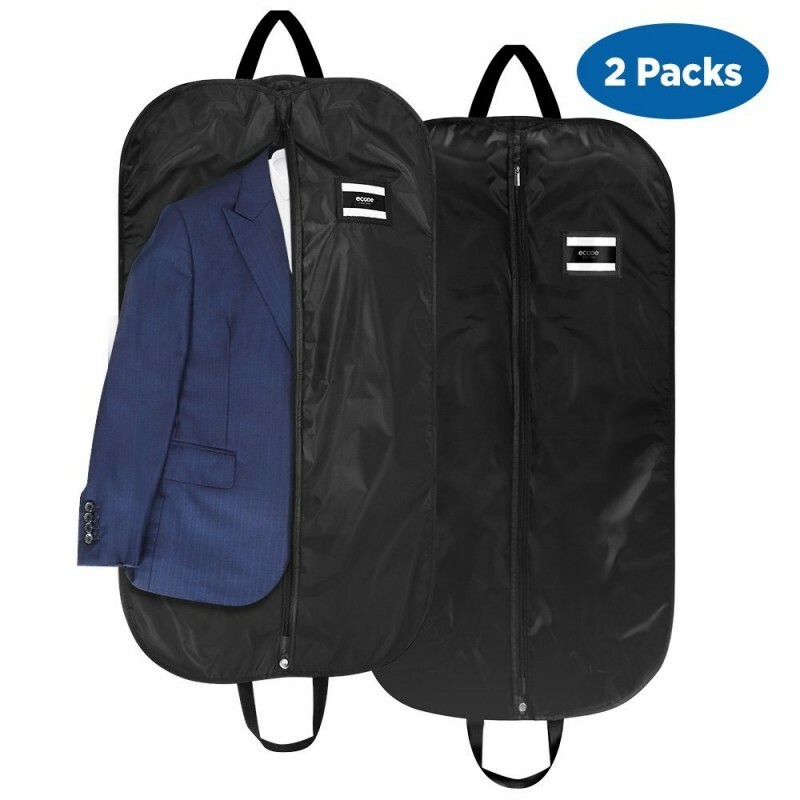 Two handy carrying straps turns the suit bag into a foldable and portable bag. While a metal loop at the end of the bag together with the hanger just make the carrying a lot more secure. 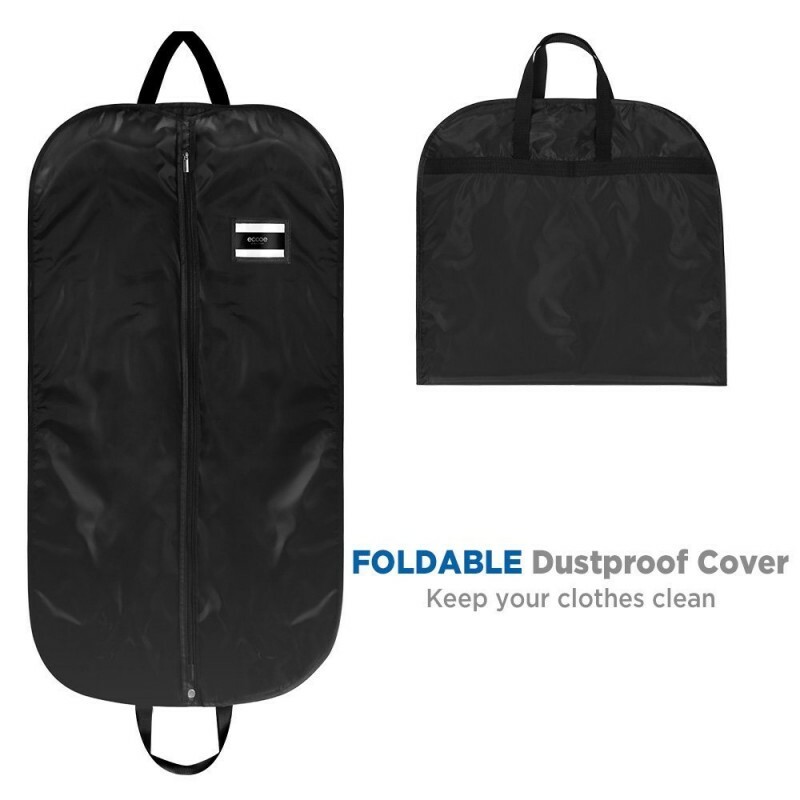 Its breathable and sturdy material are also good to keep clothes fresh for long-term storage. 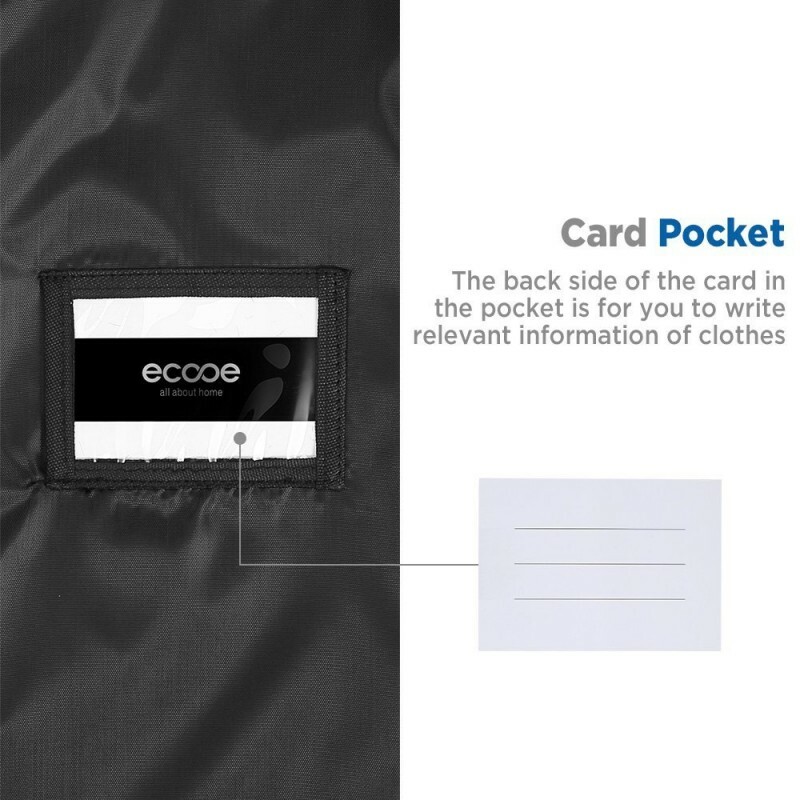 And an ID card slot enables you to label out your clothes from each other.